It's a Brisket kind of day. Well, to me, most Sundays in the winter are Brisket kind of days. Dinner that I can put in the oven and forget about. We can go sledding, curl up with a book, or even get some quilting in and I have to do nothing but boil and mash potatoes close to dinner time. Then, when we sit down to eat, it feels like I put a good effort in because we have this rich, comforting dinner. 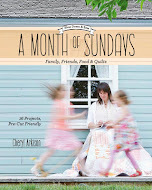 For those of you who may not know, A Month of Sundays includes recipes for a full Sunday dinner. It was really important to me to have the recipes in the book. For one, food is an important aspect of my life. I love to cook, I put myself through school, in part, by cooking, and working as a food writer is how my books came to be. Food and writing about food is just a fundamental part of me. Secondly, I strongly believe in the power of the family meal. Sitting down together, whether it is over something as simple as bread and cheese or as big as the Sunday dinner is one of the best ways to be as a family. 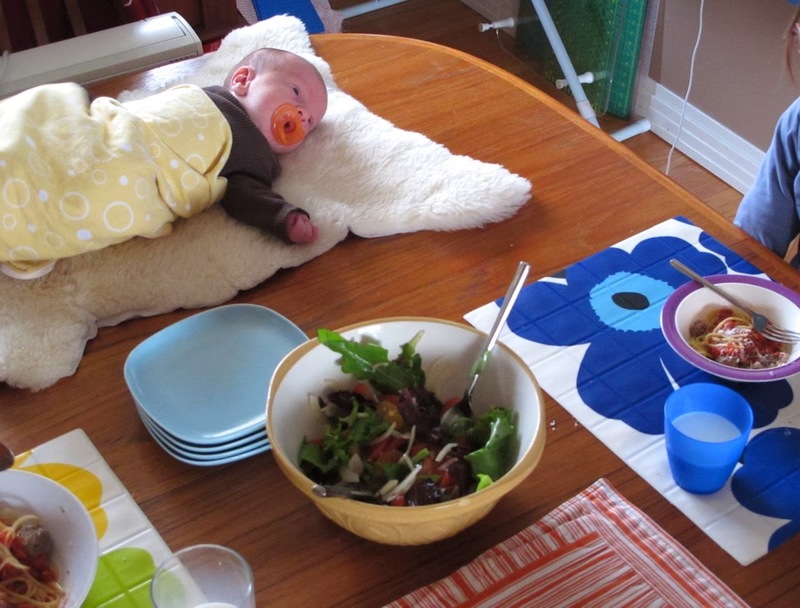 In our house dinners are loud, messy, and sometimes frustrating, but it is the moment when we all take a breath and just be. And we do that together. The girls open up about their day, The Garbage Truck opens his mouth and shovels it all in, my Husband and I decompress a little together. Whether it is wine or milk, we drink in the company and the conversations. Finally, food, good food, is just damn good. And taking the time to make good food is always worth it. Even if it means a little less quilting time on the weekends. Our dining room table sees all our dinners. It is where I wrote both books, where I quilted everything until this past year. It is even where all three of our kids spent the first six months of their lives sleeping. 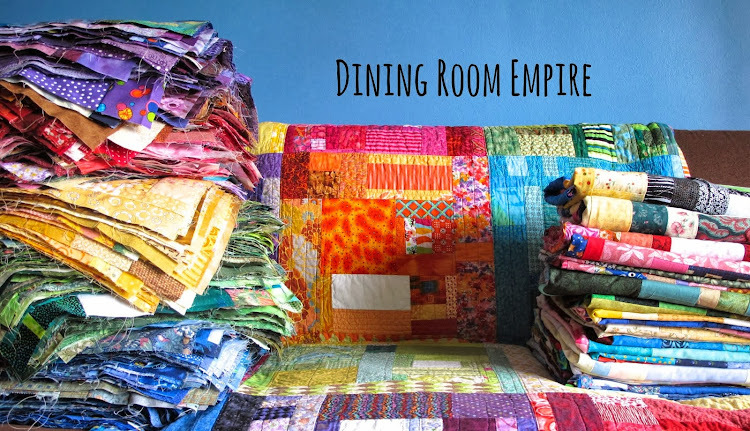 My life really is ruled from the Dining Room Empire. I nearly put a Brisket recipe in the book. This is the one I make often, the one my family asks for. And if they don't ask for it there is often a little involuntary jump and clapping of hands when they realize what we're having. Usually after the smell hits them when they come in the door. It is dead easy. Brisket is a cut of meat that needs to be braised - cooked long and low in liquids. At the end of the afternoon it is fall apart tender and full of flavour. If you have any sauce left after dinner use it for Monday leftovers on pasta, meat optional. Cut the onion in half then slice into strips. Heat the bacon drippings or oil in a large oven proof pan with a tight fitting lid, like a braiser or a dutch oven. (If you don't have a pan that fits the bill, use what you have and transfer everything to a baking dish that you can cover with foil.) Cook the onions for 5-6 minutes until soft and slightly golden. While the onions are cooking finely chop 3 cloves of garlic. Thinly slice the remaining two cloves. Cut slits all over the brisket and poke the garlic slices into them. Season the brisket well with salt and pepper. Set the brisket aside for the time being. When the onions are soft, stir in the chopped garlic, oregano, and thyme. Cook for 1 minute. Add the rest of the ingredients. Bring to a boil. Add the brisket to the sauce. Cover with the lid of the pan and place in the oven. Braise for 30 minutes. Reduce the heat to 275 degrees F and continue to braise for 4 hours. Let the meat rest 15 minutes before slicing. Serve with the sauce. This is the last post for entering the giveaways which will come next week. Think books, fabric, and treats. Tell us your favourite dinner conversation topics. Our favourite topics of conversation are what is going on in our kid's lives. When our daughter was studying philosophy also an interest for our son it would be all sorts of philosophical ideas way over my head. Our son is in teaching so those conversations are a little easier. When we dine with the older generation it's always a catch up on the extended family....what the grand kids are doing, whose had a baby etc. My daughter talks about school or what random documentary she is watching on Netflix. My husband talks about work. I like it best when we share silly stories. I agree with everything you said about dinner! At our Sunday family dinners, when the kids come over, we always talk about our week, but we really love to talk about our upcoming family vacation - we plan and laugh and get each other all excited about it! 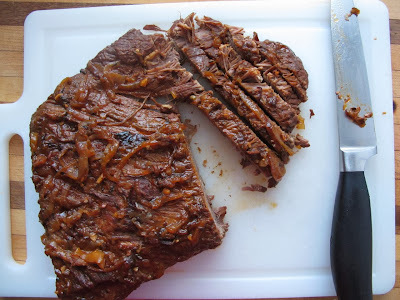 I will definitely be making this brisket for a Sunday dinner soon! By the way, A Month of Sundays is number 1 on my Santas wish list this year! thanks for the great recipie! We have "family dinner" once a week, and that means 10 or more kids (adults) coming home for dinner...conversation is varied, rowdy, noisy and wonderful !! We try to eat dinner as a family every day, whoever is living here with us, even it is just pizza delivered in. We talk about everything and nothing, often the news of the day either for one or all of us or in the world. Sometimes we plan holidays or make lists. It is always worth it to sit down together, even now that my kids are teenagers. I love Sunday dinner - my kids come for dinner, my extra kid has a standing invite (meaning that I expect her unless she tells me otherwise), in the summer it's often pot luck with the neighbors. And it's messy, and loud, and fun, and sets the tone for the rest of my busy week - when it's just the two of us for that evening meal. I can't wait to try your brisket recipe, thanks. When my husband and I go out to eat, we like make our to do lists together. Your roast looks amazing! I love family sit down dinners. It's a great opportunity to catch up on what's going on in everyone's lives. We play a family game - "the name game", where you have to name someone famous or family member whose first name starts with the first letter of the last name given. It's fun and everyone ends up smiling. Of course, grandmom always cheats! Your recipe looks great! Going to add the ingredients to my shopping list. We are empty nesters at this point, so hubby and I tend to just talk about what has gone on during the day and make plans for the weekend, or discuss the calendar. My favorite times are when our children and their spouses are here! Conversation gets much more lively and silly! My favorite sound on earth is my children laughing, even now that they are all grown up! Can't wait for Thanksgiving and having them all under our roof again! There will be a lot of laughing, and sooner or later someone will laugh until their drink comes out his or her nose! I love sunday dinners! And mondays and tuesdays... Despite all the kids (and adults) activities and meetings, we try to sit down to a home cooked meal every single day, but of course Sundays are special. We just talk about our day, and upcoming activities. Kids always have lots to say. I don't know about favourite topic but we are a kitchen table kind of family. When it came to a choice between keeping the sofa and having a bigger dining room we chucked the sofa. This family is all about eating. Do ya think it is a Ukrainian thing? LOL My hubby likes to cook, I'll pass on the recipe but I'm all about setting it nicely. Happy Sunday! Eating good food together is a great opportunity for friends and family to catch up. 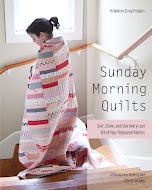 Cheryl, I wanted to tell you that when I saw the preview of the pictures for your book, it was the photograph of the Sherbet Quilt that made me want to buy the book A Month of Sundays. 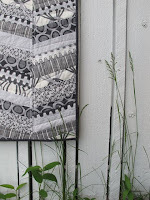 The other quilt I love is Beach Grass. Favourite topic? Just about anything the kids want to talk about, even if it consists of "...in Minecraft...!" We try to eat together every dinner, even though with crazy schedules it can sometimes be difficult. I can't wait to try your recipe. Husband loves to talk about politics and other serious subjects, and I usually ask that those conversations are off limits at the dinner table. So we talk about schedules and ideas for days off. Boy, we sound boring! tonight was nachos with turkey, homemade salsa, guacamole and more fixins. Thanks for sharing the brisket recipe. I often make it by putting in the dish, adding a can of beer and some onions on top and bake. Love the simplicity of it. I better pick one up this week. we are empty nesters now and enjoy working a crossword puzzle during dinner in the winter. But warm weather finds us on the porch grilling, drinking wine and watching birds. The recipe looks amazing! My husband loves brisket! I love your writing, Cheryl! It is very real - your voice is so honest. Our children are grown now, but my favorite topic was always whatever the kids wanted to talk about - you find out so much about them and what is happening in their lives when you are not around by letting them talk and talk during a family dinner. My husband and I are empty nesters but we talk about our day and work schedules and grandkids. When we all get together at a huge extended family it is generally during the summer months so that the grandkids can run wild outside but we all set down to dinner together to catch up on everyone's activities. It is load and there is lots of food. By the way, I discovered that I was a no-reply blogger until just recently. I have changed that and also changed my display name. It now says Nancy, before it said nhager. I have responded on all of the Sundays and hope I am still in the running for a giveaway. Your recipe looks great I am going to have to try it. I remember laughing a lot around our kitchen table. Usually it was at my brother doing Chris Farley interpretations of all things. Miss those days. It's challenging to getting whole family around the table at the same time. Thanks for sharing. Dinner conversation seems to go whichever way my three children want it to. Away from the table they argue and don't want to be around each other but at dinner time we have to tell them to shop talking and eat! thanks for the brisket recipe - I'm going to give it a try. Our favorite conversations include movie topics, "back in the day" anecdotes about her mom, or our lives growing up, or movies, games, or places we would all like to travel. Family dinner can be chaotic but I do know when this phase passes, I will miss it. Sunday dinners are a cherished experience. As the kids get older and busier this becomes a special dinner. We talk about the week we've had and what's coming up and usually have a good laugh about something someone's done! I'm reading your book right now and enjoying the relaxed atmosphere you've created. Love brisket too. Might need to try this recipe next time. Thank you for the recipe, I'm going to try it tonight. From the time my sons were little we have always shared dinner as a family. Although they are older and play numerous sports we still manage to eat together. We talk about our week and current events. It is the one time of the day that we have each other's undivided attention and I treasure it. I live alone, so my only conversation at mealtimes is with myself...lol. I think this recipe sounds wonderful and I think that a side dish of sauteed red/green cabbage would go well. I'm going to try it. We try to eat dinner together every night (even if it's eggs and toast, mind you!) and the conversation varies. Usually it's a combination of what the kids learned at school, who did what or said what on the playground, and what happened at Mom and Dad's jobs. Not earthshattering, groundbreaking kinds of conversations, but more of a coming together at the end of a long day for a little family time. I wouldn't say 'favourite' but it's amazing with a 10 and 12 year old how often poop (or other bodily functions) become part of the dinner conversation. Oh mylanta! I am going to the store to buy whatever a brisket is because this sounds so yummy! After my eldest (6 yrs) shovels all his food into his face, he asks to be excused as we are still laying our napkins in our laps. To keep him around and a part of the family dinner experience, I ask him to tell me a story. He stares at me blankly, so then I ask him to tell me about his day. That gets a response, but I'm still hopeful for a day when he will attempt something original and imaginative. Some day. We like to discuss our volunteer activities. 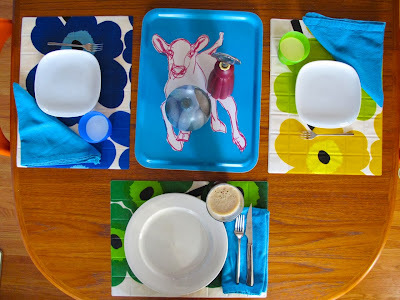 Now that my children are adults and no longer with us, the dinner table is quieter, but my husband and I still sit at the table and talk about our days every evening. We always ate together en famille in the growing up period. Surprise! A comment on a very old post! I just wanted to thank you again for this recipe. As I was planning family dinner this week and trying to think of something really tasty to serve I suddenly remembered this brisket. It's become a great favorite around here and I think will be the perfect way to celebrate autumn's slow arrival in San Antonio.